What Is An S&G/Sit & Go Poker Tournament? - Casino Answers! Casino Answers » Poker » Online Poker Beginner Q&A » What Is An S&G/Sit & Go Poker Tournament? 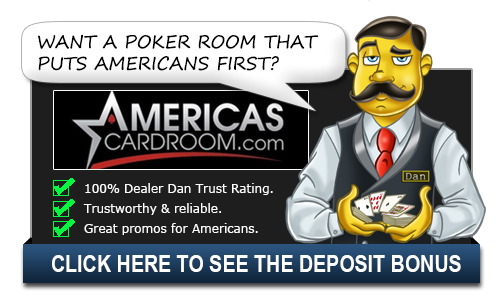 When you first log into a poker room, you’ll be amazed at the choices of games on offer if you’re new to the game. You’ll see tournaments, cash/ring games and something called a “sit and go”. Now, tournaments and cash games are self-explanatory. You don’t an article to tell you what a tournament is, right? But if you don’t know what a sit and go is, you’re in the right place. First off, the name says it all: you sit and go…in theory. The concept is that once all the seats are filled, the tournament starts up, hence the name “sit and go”. It plays like a regular poker tournament with players being eliminated, blinds rising at set intervals and a prize structure that pays out only the top players. The great thing about sit and gos compared to regular tournaments is that you don’t have to hang about for them to start. Let’s say you find a tournament that catches your eye, but if doesn’t’ start for another hour, that’s a problem. But if there’s a sit and go that you want to play in, all you’re waiting for is all the seats to get filled and you’re on your way. And if you play at a busy site like Full Tilt Poker, then you are not going to be waiting around for long, as a sit and go will generally filly quite quickly. Also, unlike regular tournaments, sit and gos have a set field that will always be hit, so you know the pay-out structure before the tournament begins and there are no late entrants. Having a set field is useful, as you will have different strategies for playing each type. For example, you’d play a 10 man sit and go a lot different to how you would play a 50 man sit and go and a 100 man sit and go would be play differently again. Although I did mention 50 man sit and gos and 100 man sit and gos, the normal practice tends to be single table tournaments (sometimes called STTs), although that is changing more and more and with the introduction of things like “double or nothing sit and gos”, where you either win nothing, or double your stake (half of the ten player field win, half lose and you can play these at Carbon Poker), the sit and go landscape is constantly changing. So, the beauty of the sit and go is that there is no start time, sure, but there is also the fact that these types of tournaments have been analyzed like no other. While it’s easy to say how to play a large tournament well, poker strategists have come up with guides on how to conquer various sit and gos and, perhaps more importantly, how to maximize your profits on them. The fact that people can make a living out of playing sit and gos sums up how lucrative they can be, as long as you know what you’re doing to maximize your chances. So, if you’re bored of waiting around for tournaments to start, you think you’re good enough to cash in a small field of poker players, then check out the sit and gos over at Pokerstars, where sit and gos start up every minute and where you’ll be spoilt for choice in terms of buy-ins and field sizes. Poker is like every other card game in that it has terms to describe actions that are completely unique to the game. The Sit And Go is one of them. This is a term to describe a distinctive type of game or tournament that is unique to poker and, in actual fact, it adds to the excitement of the game. Why? Well, the excitement lies in the fact that a sit and go is essentially an unscheduled tournament that has no fixed start time at all. You might think that most poker tournaments have a scheduled start time and you would be right in your assumption but the sit and go tournament is another proposition entirely. The players literally turn up to a specific venue and when everyone has finally arrived and put their money up then the sit and go can get going. The players are often invited by their fellow players that know about the game, with nine or ten players ultimately participating in the table. Sit and gos can occur in the form of an individual game, which is often played amongst friends and rivals, or in the form of a tournament. The latter is slowly but surely becoming more popular too as a result of official tournaments being declared in this format, in addition to major tours incorporating them. As such, sit and go games and tournaments are the way to go at the moment to inject a little excitement into your poker playing schedule.